There’s a distinct taste that comes from cooking with beer. The depth of flavor is unlike any other; a robust and sharp finish. Roasting chicken or pork in the oven? Dress in spices and herbs per usual, then replace the water you would normally add with a cup of beer. Baste with the juices about every 20 minutes. Not only will the roast be palatable but you’ll enjoy a nice browning to the skin or exterior of the meat from the constant wetting. 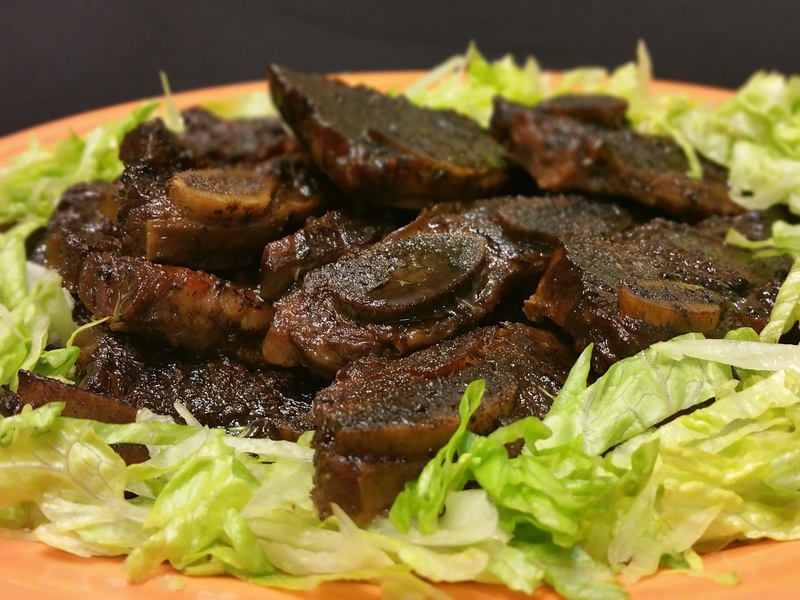 These Ginger Beer Short Ribs were seasoned with sea salt and ground pepper and slow-baked with Guinness Extra Stout and fresh sliced gingerroot for a savory and saucy rib dish. Cooking a stew using beer boils down to a heavenly one-pot wonder. If you own a slow cooker a bottle of beer is a great ally to have in the kitchen. Chicken, beef, pork and veal come alive when simmered with beer. Add an entire bottle and let slow cook for hours. Perhaps one of the more traditional ways of cooking with beer is to marinate in or dip in a beer batter. It’s still a great way to extract that awesome beer taste. Try it on not just chicken, but on any fried or deep fried dish. Dips made with beer are some of the most appetizing. And it doesn’t require much to get it there. A cup of dark beer, simmered with tomato puree, mustard, and select spices makes for a delicious dipping sauce. Or a couple teaspoons added to a vanilla or chocolate frosting is a deep and decadent way to top off dessert. Are you a crafty cook? Share your beer infused cooking techniques here.